The March 2017 is a special month and a change for the site and its progress. Instead of the normal focus on the video game character database, it is all about the video game art collaborations and bringing them forward this month. The Street Fighter Anniversary is all about the 19 characters from the Street Fighter II era and some truly amazing submissions of the World Warriors were done already. Our Pokemon Tribute from last year sees its first big follow-up and we got 80 of the 100 Generation II Pokemon covered by as many artists already that worked on Game-Art-HQ Projects previously. The Fighting Game Boss Tribute V2 gets daily updates on the site until all 37 characters are done at the 19th March. But the biggest update is currently coming to our Legend of Zelda Bestiary, the Link’s Blacklist. Not only are we adding the over 20 artworks from last year that made our Legend of Zelda (1986) Bestiary complete, we also gave the project a huge visual makeover, a new template for the articles and a lot more content in them as well. It is difficult to say how many characters will be added to the database this month. Link’s Blacklist is getting a massive Legend of Zelda I Update, all older galleries are also getting updated with more content and a big visual overhaul. 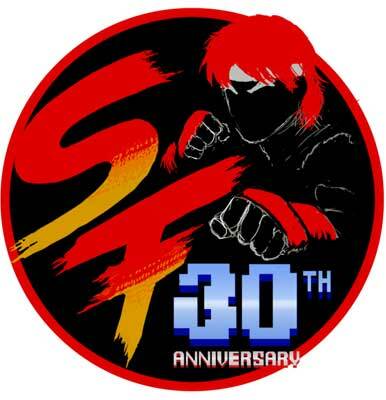 Our Street Fighter 30th Anniversary will be around for the whole year and just started with the classic Street Fighter from 1987! The community illustrated all 12 characters from the classic game. Currently work in progress is our 2nd Version of the Fighting Game Boss Tribute with around 40 characters ranging from Street Fighter One’s Sagat up to modern boss characters like Shinnok from Mortal Kombat X!